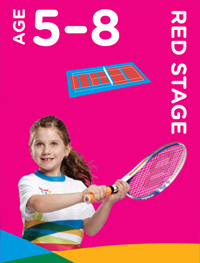 After mastering the Red stage, children move on to the Orange stage where the ball bounces a little higher (50% compression) and the court is a bit bigger. 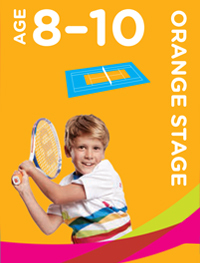 Orange players play over the regular net on a three quarter length court. 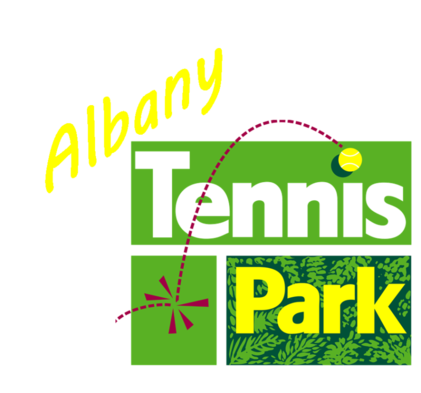 The ball used in the Green stage has a higher compression than the Red and Orange stages (75% of a yellow tennis ball) and children play on a full-size court. 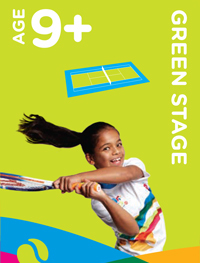 Green players may be older children who are new to tennis or players of a good standard who have progressed through the Blue, Red and Orange stages.